This week’s episode of The Adelaide Show, Banking on South Australia, features a husband and wife team that has moved back home from interstate to continue careers while raising a family. Ben Owen, head of small business banking at Bank SA, and Eszter Vasensky, owner of Bloomberri and former marketer/PR for The Big Issue, spend an evening with us discussing the allure of SA and the passion they have for their careers. This week, the SA Drink Of The Week is a wine from Joseph Wines. In IS IT NEWS, Nigel challenges us on stories about banking. In 100 Weeks Ago, we take you back to episode 146 for with hairdresser, Don Violi. In a Story Without Notice, Steve recounts his visit to the SA Press Club lunch with the Premier. And in the musical pilgrimage … we have a song from Courtney Robb. 2015 Joseph Cabernet Sauvignon Merlot … tasting notes. Two Fridays ago, Premier Steven Marshall was the guest at the SA Press Club lunch. Steve asked a couple of respected journos at the event, how they prepare for such “set pieces” and come away with a unique story. The first journalist was the award-winning, Lauren Novak. The other was the ABC’s Leah McLennan. If you listen to most Eastern seaboard comedians, everything “hip” in Australia is happening interstate and nobody would be caught dead in Adelaide by choice. 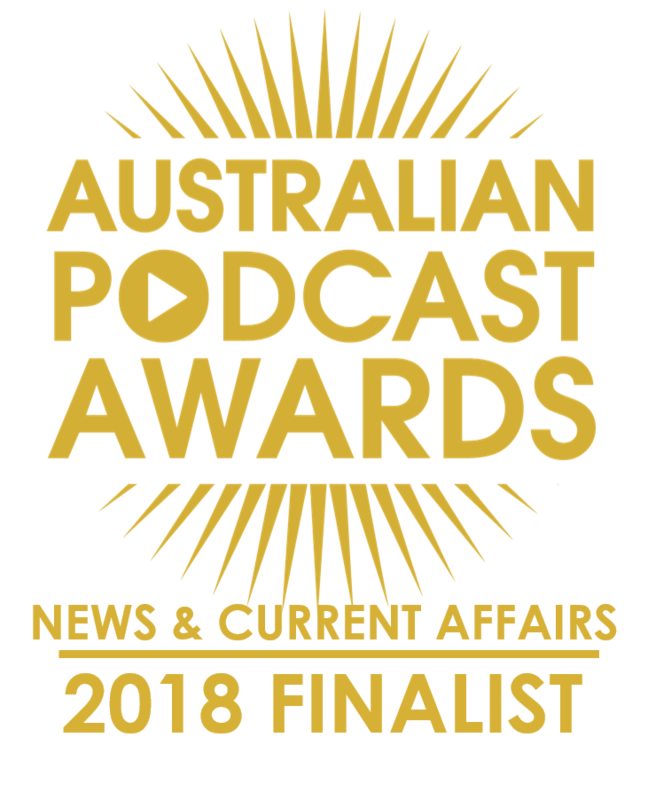 But through the life of this podcast, we’ve encountered heaps of people who have made mockery of the cheap jokes about SA and actually chosen to make Adelaide home. And tonight’s guests are yet more proof that the tide flows both ways. I talk about Ben Owen and Eszter Vasensky, who have pulled up their roots in Melbourne and returned home. Let’s start by talking about coming home. 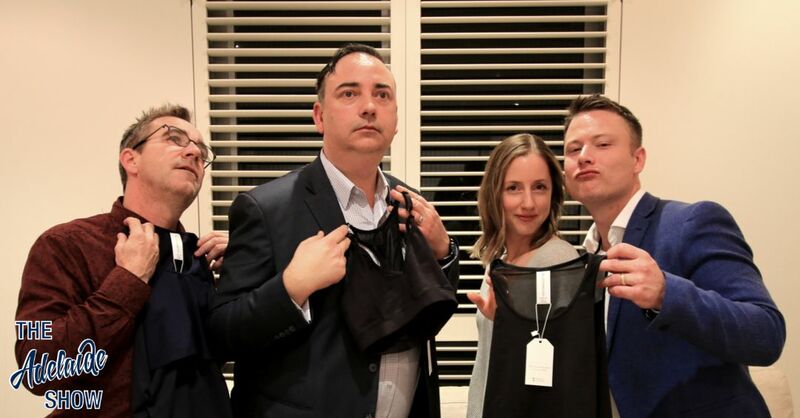 Ben, you’ve been in banking all your life and now head up small business banking for Bank SA, and Eszter, you’ve leveraged your PR and marketing world to launch Bloomberri (a range of active wear for pregnant mums). Why Adelaide? Let’s get the Banking Royal Commission out the way. We’re not delving into that tonight because we don’t have the resources for wading through the discussions and coming up with any new points to make. However, what we’re interested in is how the hearings are impacting people at a personal level. Especially you, Ben, you’ve been a banker for a long time. What’s it like having your profession trashed in the news each day? Do you reckon this will leave a permanent mark in the psyche of many people in banking? Does working in a bank affect the way he thinks about budgeting for his household? The importance of money/finance literacy from a young age? Eszter, you have worked in PR/marketing for The Big Issue, which is the magazine that marginalised people are able to sell on street corners to earn an honest quid. What was your role? How does it help the sellers – revenue streams, etc? Luke Morphett: I’ve worked for big issue 5 years. The Editorial staff to a good job to get the magazine out every two weeks and across Australia. What gave you the idea to create active wear for pregnant women? Up until recently, women have been publicly shamed for not having “perfect” body shapes and your line of clothing seems to worship bumps and curves? What are logistics like, catering for fashion? People are pretty finicky and fussy, aren’t they? IN which case, what do you do with unsold stock in certain sizes? How do you get mum models? NATIONAL BANK ON FIRE. FINE SAVE BY BRIGADE. Damage to the extent of about £3,000 resulted from a fire which broke out in the National Bank buildings in Rundle Street on Wednesday evening. The structure contains five stories, of which only the ground floor is used for the bank’s business. The other floors are occupied by wholesale firms. The top floor is the warehouse of S. B. Hunt- and Co., soft goods merchants, and it was there that the fire broke out. The fire brigade displayed remarkable foresight in the method of attack on the flames, not a single line of hose being used. Chemical extinguishers were the only kind of appliances brought into -action. Had water been used the damage would have been far greater. Goods were thrown out and stored outside and a much more serious conflagration averted. instalment of £2. 10s. on or before the 1st of October, 1836. Considerable, excitement was caused by the intelligence- which reached Adelaide by telegraph on Saturday of an extraordinary burglary committed at the Yankalilla Branch of the Commercial Bank about 1o’clock on the morning of that day. Such crimes are fortunately rare, owing to the careful provision made for the security of Bank premises and their treasures. Shortly stated, it seems that two or three men broke into the Bank premises, assaulted the Manager, rendering him insensible, and gagged his wife. They then searched the establishment, and earned away £1,245 worth of banknotes, which they found in a portmanteau that the Manager intended to bring with him to Adelaide by the early morning coach. The Manager of the Bank is Mr. John W. Lyall, son of the Rev. James Lyal. He is about 21 years of age. He was expected in Adelaide during the day, and his father went to meet him at the coach-office, and after waiting in vain for some time learned the cause of his son&#39;s non arrival. Having succeeded in entering the premises through the front-room window the burglars went to Mr. Lyall’s bedroom, gagged Mrs. Lyall, and tied both Mr. and Mrs. Lyall to the bedstead. Some time after the robbery constables from Strathalbyn had intercepted two men heading east near after their horses had been startled by the train and reared, disgorging one of the men. When the constables approached to rend assistance to the fallen man, the men became agitated and went to draw their rifles however the constables had their pistols drawn first and the men realised their robbing days were over. The men were escorted to Strathalbyn police station and will be transferred to Adelaide tomorrow. The banknotes were recovered and will be returned to the Commercial Bank at the earliest opportunity. It is believed that the failed robbery was the largest bank robbery in the South Australian Colony history to date. We opened the vault to go back 100 weeks to a night at Khrome Hair Studio with master hairdresser, Don Violi. It was a fateful night, in which Don laid it on the line and gave Steve the honest truth about his hair – a move that has resulted in Steve finally having some semblence of style atop his head! And our song this week is Shaking You by Courtney Robb, selected by our musical curator, Todd Fischer. The album is You Are Not Alone. Will be available all the usual places June 1st – iTunes, Apple Music, Spotify, bandcamp and CD/vinyl at live gigs.